My morning's usually start with laying in bed and scrolling through various social media channels. Getting caught up and concerned with other people's lives at 7:00 a.m., wondering who worked out this morning? Who had a great dinner last night? Who is traveling the world or on a beautiful beach somewhere? Did anyone message me on the dating apps I recently re-downloaded? My nights usually end in a similar way - mindlessly swiping left and right in search of someone to send me cheesy pick-up lines and unsubstantial conversation. Getting dizzy from the Boomerangs on people's Instagram stories and filtering and re-filtering photos of myself from the weekend, trying to figure out which one is worthy of a #tbt. The bright light from my screen keeps me up way past a necessary hour. It sounds ridiculous when you read about just how wrapped up in social media people become. You scoff at the idea that your self worth has somehow become intertwined with your followers and likes. It looks ridiculous when people stand on chairs to get the perfect boozy brunch snapshot. But I'm willing to bet that you've been that girl walking and Snapchatting as she walks down the street And I'm sure you've been that girl feeling bad on a Friday night, sitting in her apartment as her Facebook feed is flooded with friends having fun. The FOMO sets in, even though hours ago at your desk, you swore you WANTED a night of Netflix and Seamless by yourself. And don't even get me started on dating apps. Why do I spend HOURS swiping when I truly have NO intention of meeting up with anyone for drinks? 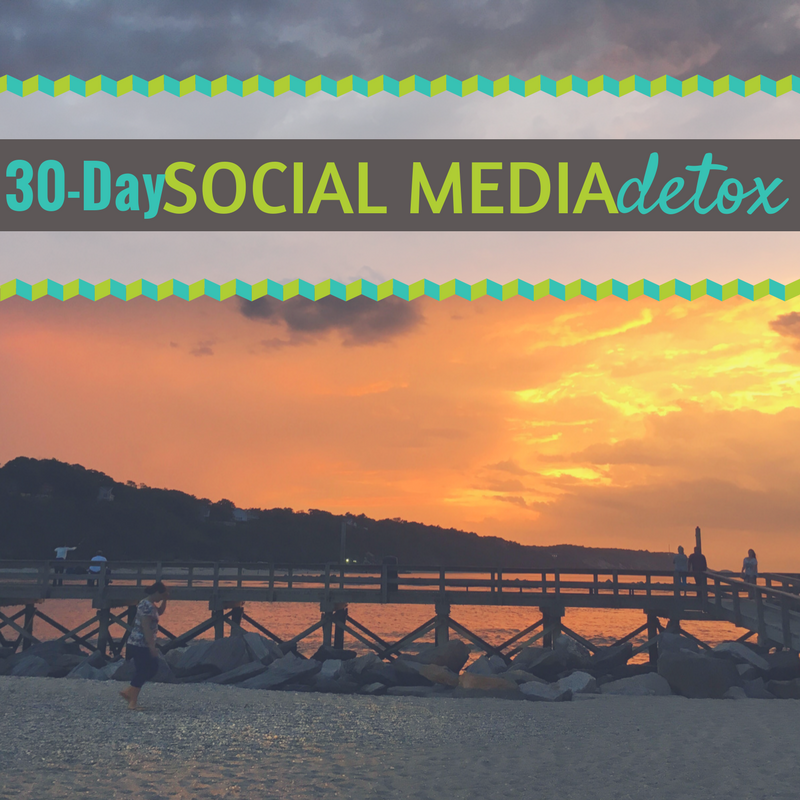 28 days without drinking had me feeling empowered and looking for a new challenge - and so on July 1, with little fanfare, I deleted it all. The plan is not seeing these apps until August 1 and I'm really interested to see how it goes! Newer PostDon't Call It A Comeback, Yet!